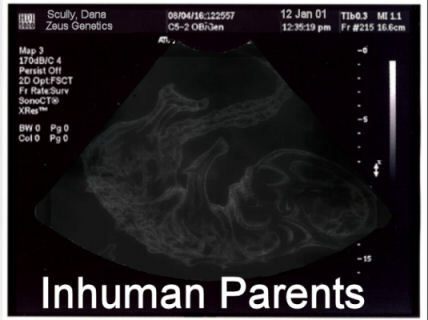 Remember the worst-case rumors that the baby might be an alien? Well...in these fics the baby's other parent isn't human. Gwen series by Tracey H.
Three Men and a Baby (Alien!) by David O.